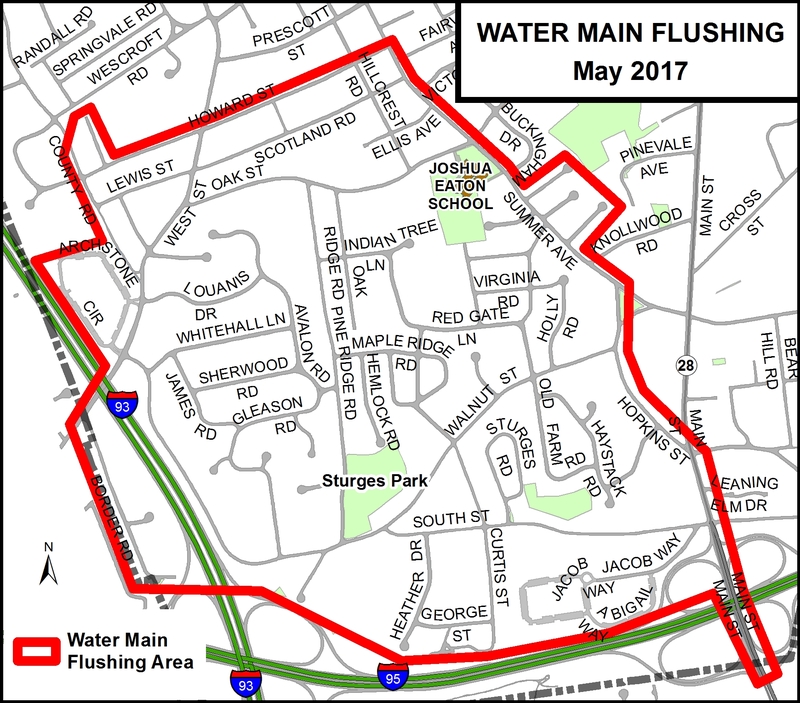 Beginning June 5, the Department of Public Works, Water Division, will be conducting water main flushing, focusing on the southwest section of town. This year the town is incorporating a new process for water main flushing, known as unidirectional flushing, which is done to improve water quality and fire flows and allow for the inspection and testing of many fire hydrants, water mains, and water line gates throughout the town. The process takes longer than the previous method and will be done during daylight hours. 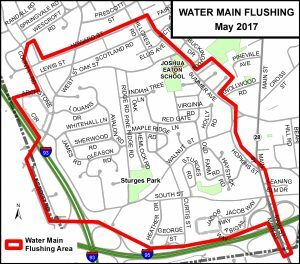 Residents can view the streets impacted by water main flushing this year on the town’s website. The process will begin at 7:30 am and will end at approximately 2:30 pm Monday-Friday throughout the summer. Residents may see discoloration in the water and are advised not to draw water during the hours crews are flushing in your area. Although the water is safe to drink, residents may wish to draw water for drinking prior to the flushing of mains in their area and refrain from washing clothes until the water has cleared up, usually within 24-48 hours. “We regret any inconvenience this may cause and we appreciate your cooperation in this effort as it will improve water quality and fire flow capabilities.” an email from the town stated. Updates will be posted to the town’s website ReadingMA.gov and on signboards in affected neighborhoods. Residents with questions are encouraged to first check the town’s website at ReadingMA.gov or use See Click Fix (‘Report an issue from the website). Peter Isbell, water and sewer supervisor, is available at 781-942-9092 until 3 p.m. or contact the Public Works Administration Office in Town Hall at 781-942-9077.